Shadowbox framing simply means that the picture frame moulding is deep enough to hold 3 dimensional objects, the object then casts a shadow inside the frame. Deep frames typically aren’t that wide or decorative, this particular one has a nice scoop on the side making it an interesting display. The real design and effort is inside the box; how to adhere the object safely, where to place the objects and colour scheme are all important. Tell a historical story through military shadowbox frames. Sharing the history and the sentimental value of the objects through a professional display adds to the purpose of the event. 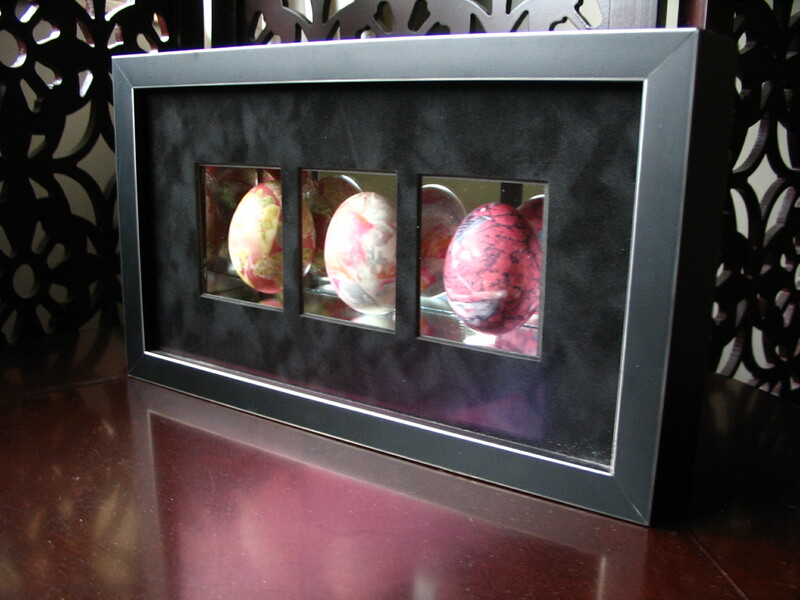 Frame your seasonal art such as Easter eggs in a shadowbox with mirrors to reflect all sides. This now table top or bookshelf sculpture adds a little interest to a conversation. The mirrors are not the only unique tool in this shadowbox, the three window suede mat with the museum glass are special features as well. The featured shadowbox frame is of a baby hockey jersey. 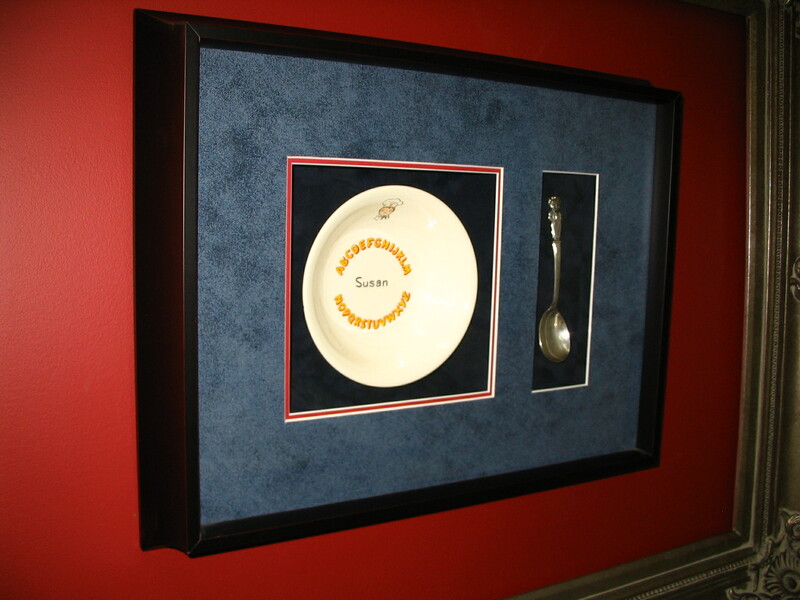 This entry was posted in Picture Frame Hardware, Picture Framing Design, shadowbox frame and tagged framing history, keepsake, shadowbox framing, shadowbox framing memerabilia art framing 3D objects. Bookmark the permalink.